I have exchanged letters with a gust who visited our hotel last year. He has visited the hotel for years. He came to Kamikochi and we set up our meeting in our exchange letters. He brought me the wonderful gift which is the picture. There are seeds in the picture. What amazing thing he did!! 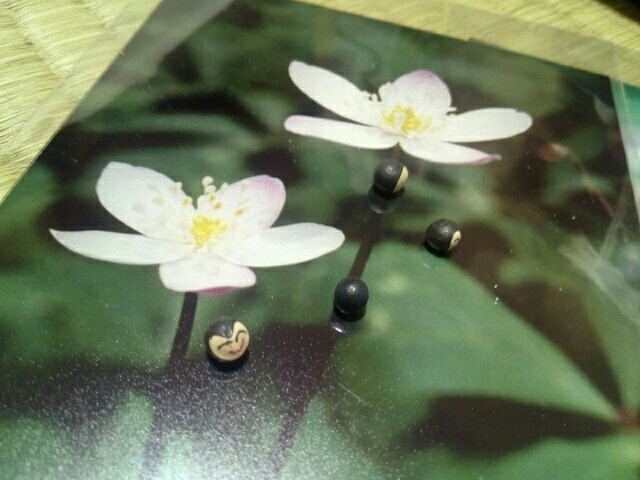 He drew the face on the seeds. I am lucky to have such a wonderful FRIEND.